With house prices continually increasing, renovating your home represents a cost-effective and rewarding way to make it feel like you’ve moved into a brand new property. The fitting of a new bathroom, for example, offers a completely fresh look and feel, as well as adding value to your own home should the time come to sell. In order to add this value to your property, finding a bathroom fitter in Maidstone to complete the work is essential. Whether you’re looking to add a contemporary suite to modernise your home, or install an innovative wet room that offers the utmost in luxury, AC Installations is able to provide the level of service you need. 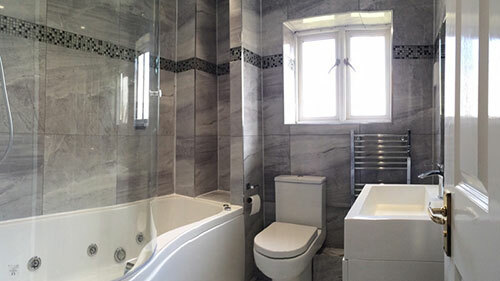 With over 20 years’ experience, our reputation as a bathroom fitter in Maidstone is among the best around. Thanks to our team of friendly and knowledgeable bathroom fitting experts, as well as our strong relationships with leading manufacturers, we can help transform your bathroom efficiently and effectively. We even offer complete project management of an installation, meaning you can enjoy total peace of mind that an entire project is under control. To get in touch with the bathroom fitters at AC Installations to discuss your proposed project, simply call us today on 07718 622940. We can help you determine exactly what’s best for your needs, as well as identify the very best materials for a project. You may even wish to view the reviews we’ve received from past customers, further complementing our reputation as being a kitchen fitter in Maidstone you can trust.